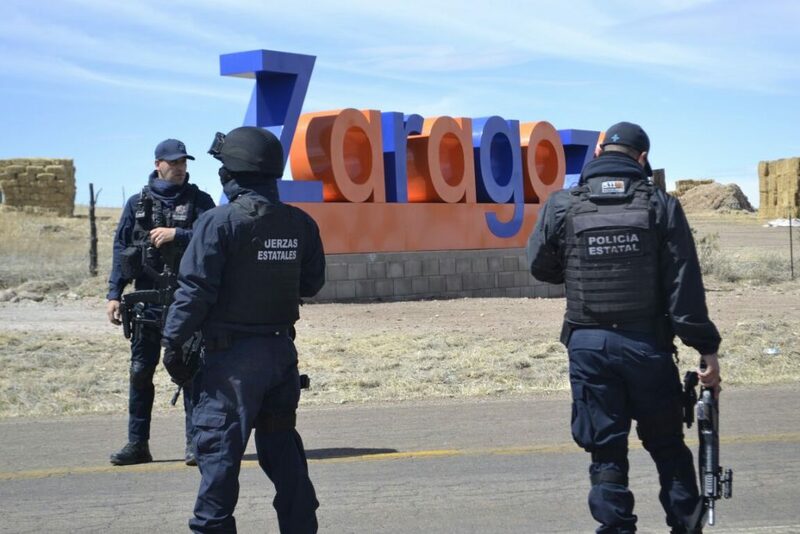 According to residents, repeated clashes and shootings took place in the course of last weekend in the municipality of Ignacio Zaragoza, located some 200 kilometers northwest of the city of Chihuahua. The violence broke out on Friday when a clash between criminals and police elements was reported. Consequently, the state police forces allegedly abandoned the village. As a result of that, repeated encounters between sicarios of rival criminal groups operating in the region took purportedly place over the weekend. However, there are no reports on the number of killed people in the clashes available. Reportedly, state police did not return until Monday afternoon when the clashes were over. State officials denied that clashes took place, stating that they have no information supporting those reports. Although the reports of the locals surrounding the clashes cannot be independently verified, it can be almost taken for granted that these clashes took place. The municipality has repeatedly been the scene of similar violent incidents and clashes in recent time. Ignacio Zaragoza is one of the municipalities in the region in which the state police forces have taken over from municipal police since February 2017. This action was taken in order to tackle the raging violence and due to the fact that the municipal police was infiltrated by cartels. The ongoing violence is triggered by regular encounters between La Linea and Sinaloa Cartel operatives. The latter is represented by Gente Nueva in the region. About a month ago, a confrontation on the road between Ignacio Zaragoza and neighboring Buenaventura resulted in the death of several people, of whom some were decapitated. According to rumors, the Sinaloa Cartel was on the receiving end of this clash with La Linea. In another incident in October 2017, Gente Nueva members stormed in large numbers Ignacio Zaragoza’s neighboring municipality of Gómez Farías in search for La Linea’s José Luis González Montes “El 32”. Besides “El 32”, César Daniel Manjarrez Alonso “El H2” of La Linea is present and highly active in the region. On the Sinaloa Cartel’s side, Francisco Arvizu Márquez "El Jaguar" and members of the cell of Julio César Escárcega Murillo "El Tigre", who was arrested in October last year, are active. Obviously, the state’s police forces are unable (and maybe even unwilling) to combat the rampant crime in the region. In consequence to that, further such clashes between La Linea and Gente Nueva in Chihuahua’s Sierra are likely to occur in the near future. It's open season, anything from kidnapping, killings, rapes are going on, with no chance of being arrested. It's time for the township, to armed themselves and fight back. Animo Gente Nueva del Tiger . Gente Nueva Special Forces is a 2 way radio call away if you need back up ,but remember it has to be authorized by el Senor Ivan first. Animo GN??? Hahahaha! GN seems to be hitting hard times if an American cyber cheerleader has to cheer them on! Gente nueva nos la sigue pelando! 😁😂you're a real kings jester,006.